Client testimonials tell the story! Samuelk provides best customer support. "Amazing! Looks like Stained glass and installs in only a few minutes. See for yourself! 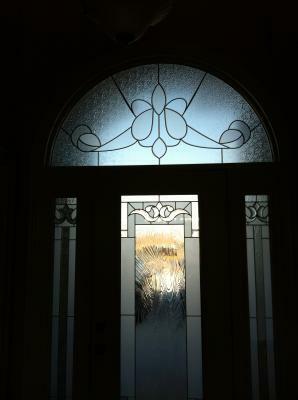 The leaded glass look without the painful price. The illusion is perfect. Full Install in the video provided by them." ""This looks great and was easy to install."" I loved the product so much, I bought another one. "I purchased one for my old house and loved it. So, when we sold the old house, we purchased another for our new house. For whatever reason, the new window treatment didn't fit the window. We discussed the issue with Sam and he took care of us. They have great customer service. The replacement arrived 2-3 weeks later, it fits and looks great!!! Product is really easy to install. I'd definitely recommend this product! 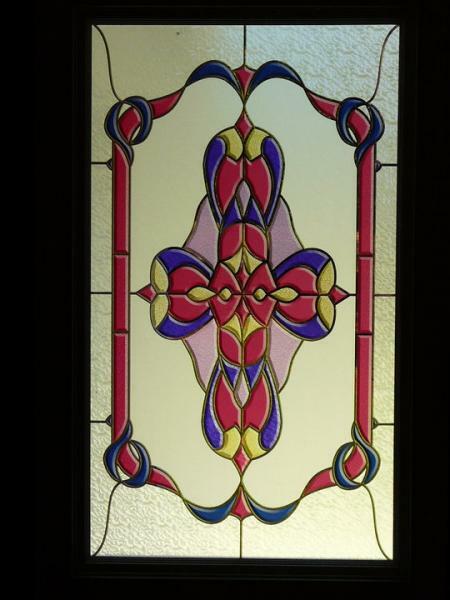 It looks so real that everyone that comes over believes it is real stained glass." ""It was a great pleasure to work Samuel K. He was referred by a friend and is very knowledgeable with the products, offered great advice and even looked at innovative ways of finding solutions to my doors. I am hoping to do some additional work in the near future with them!" It is a great product and have rec'd quite a few compliments from neighbors and friends!" "I heard about the product from my contractor. I got the brochure from Lowes and called Samuel K. There was a little doubt but after the installation I was completely taken aback by the beauty and quality of the treatment. It looks and feels like stained glass. Unbelievable. Well worth the expense. GreaT experience." ""We purchased a large applique for over the bathtub window in our bathroom. It looks amazing from the inside and outside. It is a great alternative to replacing the window completely."" "It gives us the privacy necessary for our garden tub, while allowing full daylight to cascade through the rich colors and textures of the window. The window is a beautiful addition to our home and truly a work of art." I Love my Beautiful Windows ! "My friends didn't believe me when I told them the windows were not real glass. And my kitchen cabinet doors look exactly like expensive leaded glass. I've already told many friends." "Several folks have made comment. They just give us a wonderful shiny new look." "I ordered a bathroom window overlay , it arrived in a tube with an installation kit and instructions. The fit was perfect and the installation was really easy."